A Japanese company with hopes of exploring the Moon says it has purchased room on two upcoming flights of SpaceX’s Falcon 9 rocket in order to transport spacecraft to the lunar surface. 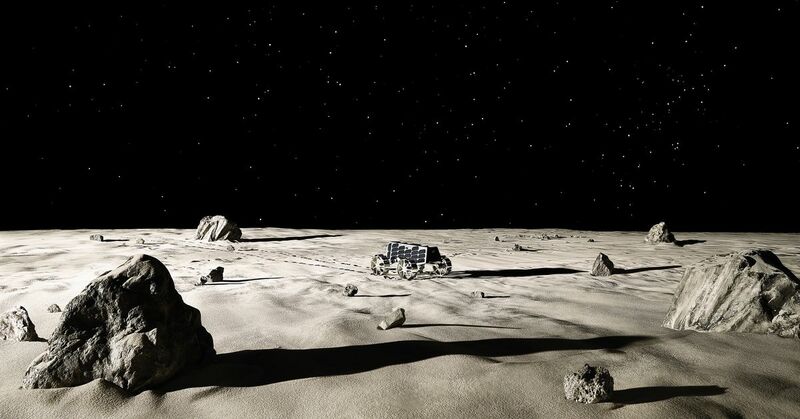 These missions, slated for 2020 and 2021, are meant to serve as crucial technology demonstrations for the company, called ispace, which has grander ambitions of becoming a lunar delivery service one day. The first of ispace’s two missions entails putting a spacecraft into orbit around the Moon. If that is successful, then the company will launch its second mission — one that includes a lunar lander and rovers to explore the Moon’s surface. All of ispace’s hardware will ride as secondary payloads on the Falcon 9 flights; that means they will hitch rides on the larger vehicles that are launching to space and deploy separately. The rockets will drop off the spacecraft in a high orbit above Earth, and the vehicles will cruise the rest of the way to the Moon. the X Prize competition ultimately concluded this year, and the organizers announced that none of the finalists would make it to the Moon before this year’s March 31st deadline, adding that the cash prizes would go back to Google. A rendering of an ispace rover. However, many of the finalist teams are still moving forward with their lunar ambitions. ispace, which oversaw team HAKUTO, is using what it learned from the X Prize competition to make these upcoming trips even more robust. The company won’t be using the rover that it developed for X Prize. However, the rovers for the second mission are based on the framework from the original HAKUTO rover. They’ve been upgraded to increase their overall power, the distance they can travel, and the amount of cargo they can carry — up to 5.5 pounds of extra room. They’ll also carry an internal sensor that will scout for water. fly their HAKUTO rover on a lander from a fellow finalist TeamIndus. Now it seems that contract has been canceled. ispace will be making its own way to the lunar surface, expanding on a lander design concept that the company teased late last year. The lander is meant to demonstrate a soft landing on the lunar surface, as well as act as a communications relay for the rovers while they explore. But before the lunar lander and rovers make it to the Moon, ispace will try to demonstrate that it can put a spacecraft into lunar orbit. That vehicle, if successfully inserted, will remain in orbit for one to two months, testing out navigational cameras that ispace plans to use for the lander and rover mission. It will also take images of the lunar surface and send those images down to Earth. Since ispaceisdrawing on hardware that it developed for the X Prize competition, the company has decided to call its inaugural missions HAKUTO-R, with the “R” standing for reboot. The designs for the lunar spacecraft recently underwent a preliminary design review, according to the company. A panel of 26 experts from Japan’s space agency, as well as Europe and the US, said that the design was feasible and that ispace needed to work on a few “key actions.” ispace has started obtaining some of the flight hardware for these missions, and the company plans to do testing through spring of 2019, with assembly beginning in the summer of that year. 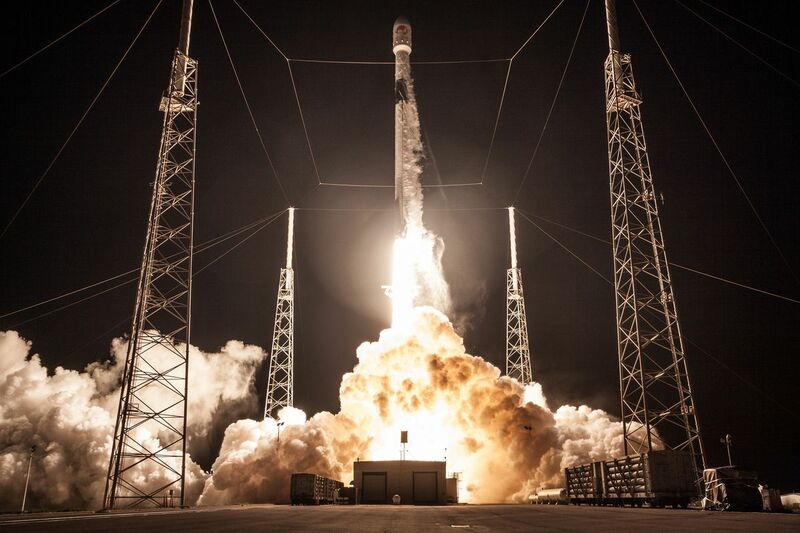 A SpaceX Falcon 9 rocket. ispace, which has headquarters in Japan, Luxembourg, and the US, has raised nearly $95 million, and it will use that money to help fund these first two Falcon 9 flights. Eventually, ispace hopes to create a sustainable space infrastructure by delivering instruments to the Moon for customers, as well as utilizing water found on the Moon as a resource for future space travel. ispace isn’t the only former X Prize team that SpaceX will help get to the lunar surface. A SpaceX Falcon 9 rocket is also slated to carry an Israeli lander later this year, one that was developed by former X Prize finalist team SpaceIL. That lander is slated to land on the Moon in early 2019. Meanwhile, another former X Prize team, Astrobotic, has plans to launch its lander, called Peregrine, on an Atlas V rocket from the United Launch Alliance sometime in mid-2020. So if all goes well, the next couple of years could be a busy time on the lunar surface, with multiple private companies exploring what the Moon has to offer. Update September 26th, 9:30AM ET:This article was updated to include more information about the missions from a follow-up press conference.